Youth Farmer in a Photo Contest! The Minnesota Valley Wildlife Refuge is hosting a Youth Photo Contest and Lily, a Youth Farmer in Frogtown, is a participant! 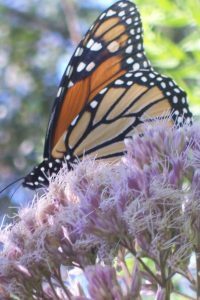 She took this photo of a Monarch Butterfly this summer during a Fun Friday activity at Como Lake. Here’s how to vote for Lily’s amazing photo! 3. Click “like” for the photo(s) you want to vote for! Three photos with the highest number of likes will receive prizes during an Art Reception held on Saturday November 12th, however all submissions will be mentioned. The online voting will go until morning of Thursday, November 10th.